The breeze on your air, an off-beat trail, and the sense of adventure that comes with being on your own. Vietnams far North West is undoubtedly the best place to cycle in the country. The roads see virtually no tourists and avoid Vietnam's notorious highways. The landscape is stunning, amazing karstic rock formations, stilted houses with thatched roofs, mountains nestled between limestone outcrops and the highest concentration of hill-tribe people in the country. One of our outdoor adventures is cycling tour, it’s simply the very good way to see the countryside and the life of the locals, from easy ride to tough biking tour, we will take you travel off the beaten paths and experience the real Vietnam. Cycling is versatile and the vibrant vistas of Vietnam make for great Vietnam bike tours. What is more, there are varied landscapes and terrains in Vietnam to suit your pedaling prowess. The seasoned cyclists can opt for the mountainous terrain in and around Sapa and most notably the Lai Chao and the Fansipan valleys. The scenery around here is spectacular and in your Vietnam bicycle tours around these parts you can also get to mingle with the local Hmong and Tsao people. The riding is tough here, given the steep slopes and the rocky trails but you will have the entire mountainside scenery all to yourself. 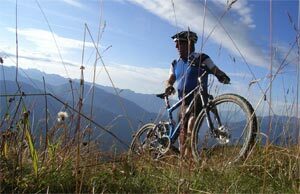 Cycling in Vietnam and especially in this terrain ranks amongst the best modes of adventure and recreation in Vietnam. Journey to the charming ancient cities of Hanoi and Ho Chi Minh City, the verdant expanse of the Red River Delta and Cuu Long with their fertile banks farmed by generations of peasants. Cycle amongst massive limestone mountains adorned with ancient forest, jungle and steep rice terraces, cultivated by hill tribes as they have been for thousands of years. These are places where a tourist is still a stranger and a curiosity. The slow unhurried pace of life will seem light years away from the stresses of the modern world. A rejuvenating and enriching biking adventure into this beautiful, unspoilt corner of Asia awaits you. Vietnam is a land of diverse and stunning natural beauty. It has a rich history and nowhere is it more evident than in the ancient sites of Hue and Hoi An, in the central coast of Vietnam. When you are cycling in Vietnam, ensue that you ride by these places. The bike ride over the Hai Van Pass might just prove to be a tad stiff, but once you have overcome the challenges, you will be rewarded with a tranquil and tantalizing setting of paddy fields and eucalyptus forests. Vietnamese are very friendly to all foreigners and eager to show off their country's natural and cultural beauty. For further information on this trip check out the daily itinerary listed above for daily cycling distances and tour inclusions.